Los Angeles mayor Eric Garcetti has announced his intention to declare a so-called “shelter crisis” in the city, announcing $20 million in new funding for emergency shelter services like tents, trailers, and temporary shelters. The new program—called “A Bridge Home”—will pave the way for the municipality to speed up the approval of new emergency shelter and transitional housing projects, as well, The Los Angeles Times reports. The announcement, made during Garcetti’s annual “State of the City” address, comes amid ever-increasing rates of homelessness among the city’s residents. According to the Los Angeles Homeless Services Authority, there were at least 34,189 Angelenos experiencing homelessness in 2017, up 20 percent from the previous year. 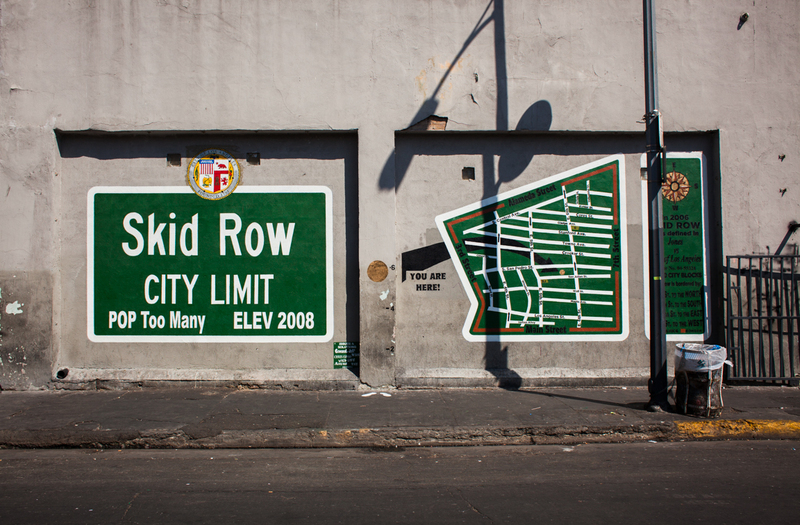 In Los Angeles County, the number was much higher, with 57,794 county residents living in unsheltered conditions. With millions of Angelenos overly burdened by their rents and a state-wide housing affordability crisis that has no end in site, the extent of the city’s homelessness crisis is likely to continue to grow. That is, unless new efforts undertaken by city leaders can prove to be effective. Garcetti’s declaration comes on the heels of a series of new initiatives following the passage of Proposition HHH and Measure H in 2016 and 2017, respectively. The two homelessness alleviation measures aim, respectively, to utilize a $1.2 billion bond to build 10,000 new supportive housing units but while also directing resources toward preventing rent-burdened and recently-rehoused households from falling back into homelessness. While those 10,000 units make their way through the planning, design, and construction process, Measure H initiatives will work toward addressing the causes of homelessness on the ground today. The measure consists of 21 interconnected strategies aimed at tackling affordability issues and includes rental subsidies, job training programs, and funding for case management services while also promoting County-wide coordination between agencies on where new transitional and supportive housing developments can be located. Last week, the Los Angeles City Council moved to untangle regulatory approval for new shelters from conventional community review processes, a move that will convert these developments into by-right projects that do not require the types of tedious reviews that have slowed down their development across the city. The City Council also moved to pass a new ordinance allowing for existing motel properties across the city to be converted to rapid-rehousing sites. Los Angeles County is working to facilitate the rental of Accessory Dwelling Units to individuals and families who were formerly experiencing homelessness by allowing homeowners with ADUs on their properties to accept housing vouchers, as well. The pilot project is currently underway. All told, Garcetti aims to earmark nearly $430 million toward homelessness alleviation measures next year, including more than $238 million in funds generated from the Measure HHH funds.